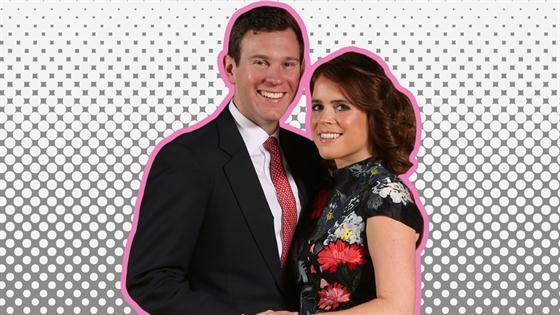 While a slew of celebs attended Princess Eugenie and Jack Brooksbank's royal wedding, several stars who were expected to show up were unable to make it. The bride, a cousin of Prince William and Prince Harry, and the groom exchanged vows in St George's Chapel at Windsor Castle on Friday. Footage of the wedding was broadcast live around the world. It was speculated that Amal Clooney and husband George Clooney, who live in England with their 1-year-old twins, would attend the nuptials, as they did show up for Meghan Markle and Prince Harry's May wedding, which took place at the same chapel. However, Amal, an international human rights lawyer, had a scheduled speaking engagement at the Pennsylvania Conference for Women on Friday. Meanwhile, drinks made with Casamigos Tequila, the brand George had co-founded, will be served as Eugenie and Jack's wedding reception. Jack is a U.K. brand ambassador for the company. "I'm in charge of drinks and we'll be serving Casamigos," he told the Daily Mail earlier this month. Ed Sheeran and Elton John were also both reportedly invited to the royal wedding on Friday. However, they are both currently on tour in the United States. John has a show in Detroit on Friday, while Sheeran is performing in Kansas City on Saturday. Eugenie's aunt Camilla, Duchess of Cornwall, William and Harry's stepmother, also did not attend the wedding. She had two scheduled appearances at events in Scotland. Her spokesman told The Telegraph that invitation to help local schools celebrate harvest festival "pre-dated" the wedding invite she received from Eugenie and Jack several months ago. The rep also denied reports that Camilla did not attend the wedding because of a feud with the bride's mother, Sarah, Duchess of York, saying, "They get on very well, the couple has no issue with it—they have known about the diary clash for some time." However, a source close to the York family told the newspaper they were "upset" by the snub.